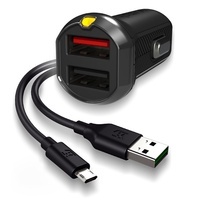 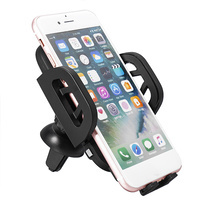 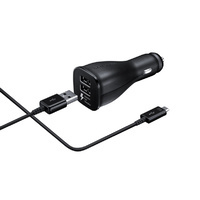 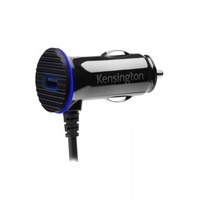 The Kensington PowerBolt 3.4 Dual Fast Car Charger has a built-in Micro USB charging cable, suitable for Android devices along with a second USB charging port. 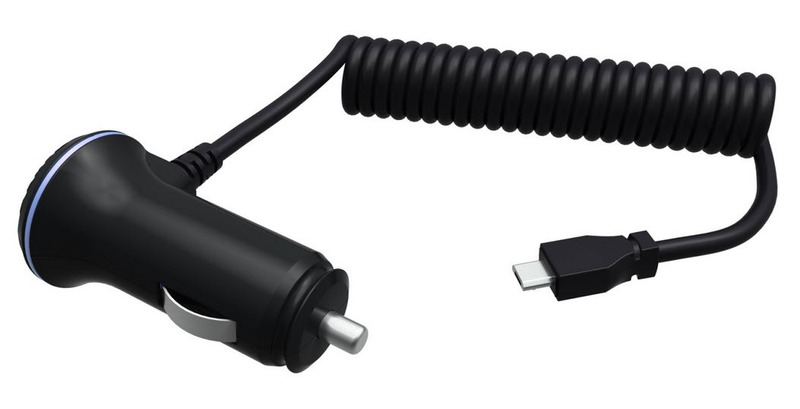 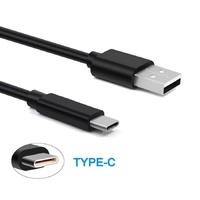 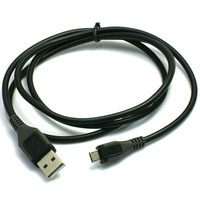 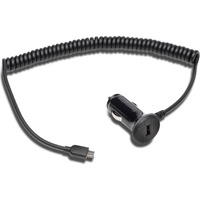 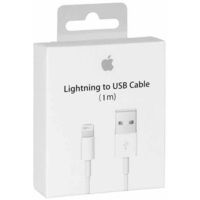 Simply use the charging cable that came with your device and you’re all set for a fast, safe charge. 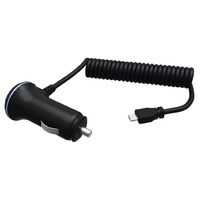 Plug the PowerBolt into your device and the PowerWhiz technology automatically recognizes devices and provides the correct charge. 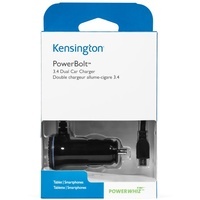 Plug in your Phone and it delivers 1.0 AMPs for speedy charging, or Plug in an iPad, Galaxy Tab, or any other device and PowerBolt 3.4 will automatically provide the AMPs necessary to charge your device quickly and safely. 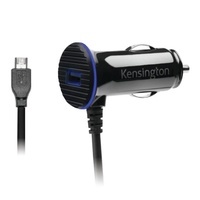 The Kensington PowerBolt 3.4 Fast Charge includes a built-in coiled charging cable, so there are no cables to misplace. 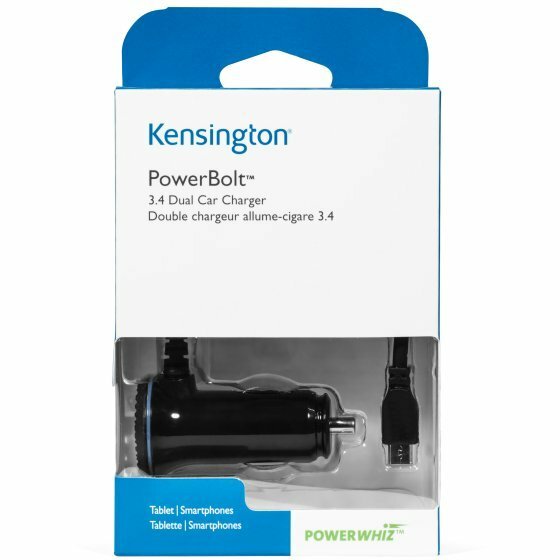 With the Kensington PowerBolt 3.4 Fast Charge you’ll arrive at your destination with a full charge, so you can get back to surfing the web, typing emails, checking Facebook, talking on the phone — and oh yeah, maybe even working. 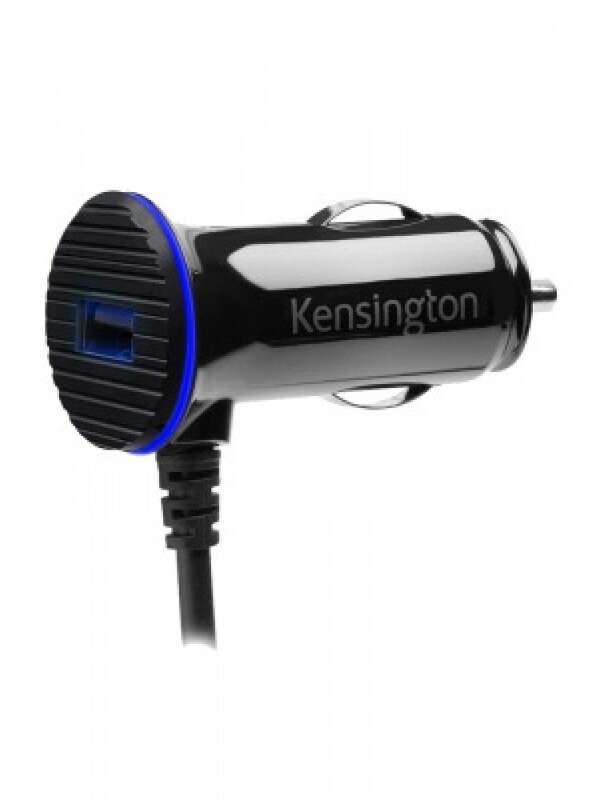 The Kensington PowerBolt 3.4 Fast Charge features a compact, low profile design that blends in with any vehicle interior and won’t interfere with your car’s controls.